This will be a brief post, as I’m slogging on with writing some blogposts for elsewhere. This blog is going a little remiss, but I’m okay with that. Apparently, that’s how I write – in spurts. A spurt writer. 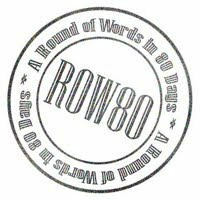 ROW80 – it’s about 3 weeks in to the last of Round 1 for ROW80, and I have managed to keep up with my goals for this lot – which were basically spending 2 hours per day writing. For this month, I had the intention of doing a 10K Day, and I succeeded at that last Thursday.It was fantastic to have the time to spend on my WIP like that. I had been feeling guilty about just how much time and effort my attention towards some blog posts was taking, but when it came to the day of writing solely on my WIP, I belayed my own feelings for a bit. I learnt from the exercise too – not how hard it is to sit down for nine or so hours and write – I already knew that – but something else about reconnecting and taking time off from your work. I’ll deal with that below. 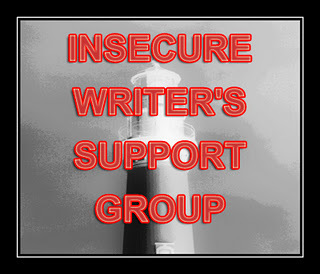 Insecure Writers Support Group – it being the first Wednesday of the month, this post is doing dual work, providing my contribution to the IWSG round also. I thought I’d talk a little about time off, speed of writing, and reconnections.Based on my own writing experience only. Taking Time and Reconnecting with My Writing. Subsequently I find myself scrambling to pre-prepare for a big month of blogging in April with the A to Z of Blogging in April Challenge. This has, for me, enforced some large research and writing exercises, with the consequences that I just don’t have the time or gumph left to attend to my fictional work in progress. Oddly, after returning to that bereft WIP last week in a day’s writing marathon, I actually found the time spent away from it (and in research associated to it) was beneficial. After spending half an hour re-acquainting myself with the work before heading in to try to pump out another 10K words on the first draft, I found I had somehow re-found my love for it. Experts in the whole self-publishing trend lately have been suggesting that we need to concentrate on writing the books – books as in plural. Lots of them. First one, then the next, and next. Before the changes in the publishing world, writers often spent years on writing those first books, and publishing contracts allowed for another year before the second one was needed to be ready. Now we have quite a few “successful” indie authors pushing out new books every few weeks. We are all different, and our processes are different, so I can’t comment on the legitimacy of speed of writing for myself. I know that my own reading into the current changes in the publishing industry have brought about both a hope, and a sheer terror that I am not up to the competition. But we all know that it’s futile to compare and pace ourselves with other writers in both quantity and quality of work – yet, most of us do it. I am yet to discover what pace I am capable of writing at. But what I did realise was that for this, my work of progress, I was having problems retaining my interest in the main character, and several aspects of the plotting etc. This is a hard novel to write the way I want it written. I’ve been struggling with it for months now, as can be seen in several blog posts on here, not ready to give up, but also aware that I wasn’t really doing the thing justice in how I was thinking of it. When accidentally forcing myself to spend time away from my draft, things changed. Because I was spending – and am still doing so – so many hours in research and blog writing, thick into psychology and crime texts (my genre is psychological thrillers), once finished for the day, I would turn to relieving myself by reading. I couldn’t read fiction, somehow. Researching into real-world serial killers and mass killings can be very depressive. But instead, I picked up a few how-to-write books sitting on my ebook “to-read” list. I had just joined up with Goodreads recently, so had some promises (can you say over-commitphile?) to read a few this year. Lots of people can’t read how-to-write books while actually writing. Too many ideas or something. I’m the opposite. Reading how-to-write books while writing does bring some new ideas or techniques, but I tend to put them onto the back-burner until out of first draft, or utilise them quickly to pinpoint ideas for my next novel. My reading of the last couple of weeks took the later track, I started tentatively dreaming around new novels after this current WIP. All well and good. But what happened out of all this research and how-to-write reading was that on Monday at 2pm in the afternoon, while I was putting some lunch things away in the kitchen, another eureka moment popped over and shattered the lightbulb over my head – for my current WIP. It was a problem that had me disliking my current work, but unsure why. Something between the main character’s overall theme, and the links with another character. It just wasn’t feeling right. It wasn’t psychologically or scientifically sound. 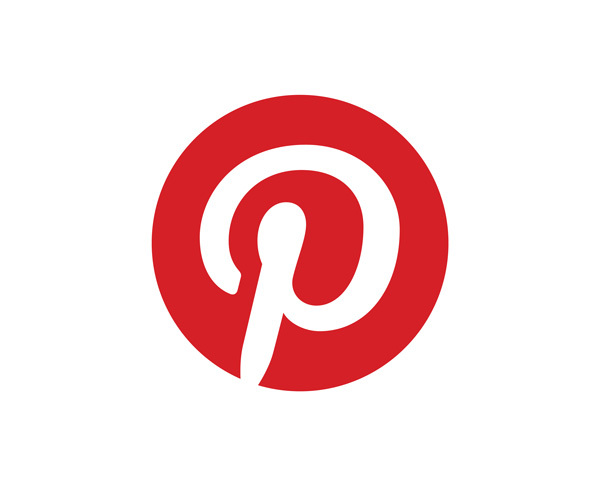 And fizz – the lightbulb shattered, and an idea daggered into my head. Electricity charged the brain neuropses (did I just make that word up?) and I reconnected with the story. It’s a stronger story for it. I’m actually excited again. My pace may be out. I had plans to get this novel out by the half year, possibly earlier. That’s not going to happen now. This novel spurts along on it’s own course. Rather than fighting that, I’m learning to work with it. Interestingly, my own process of writing is changing with it. Writing, to me, is like my favourite type of poetry. I used to hate poetry as a school kid. I was all about words – lots of words. Stories, in fact. English and literature was my top subject, but poetry – no way. All those pieces that got published in the school magazine from other students, solely because they were short enough to allow for more students to be in there. Schools always asked you to write poetry when the seasons changed too. How many times could you think of new ways to discuss the Autumn leaf fall, or Spring daffodils? But haikus – something about them spoke to me from far back. The rhythm and brevity, perhaps the sensuality. Perhaps even the Asian mystic origins of the form. Back then, Asia as a culture, were a mystery to most of us in New Zealand. Now, here in Australia, my daughter’s school has almost a 50% population formed of Chinese, Japanese and Korean wealthy students. The mystery may well and truly be ended. But the haiku still touches me.